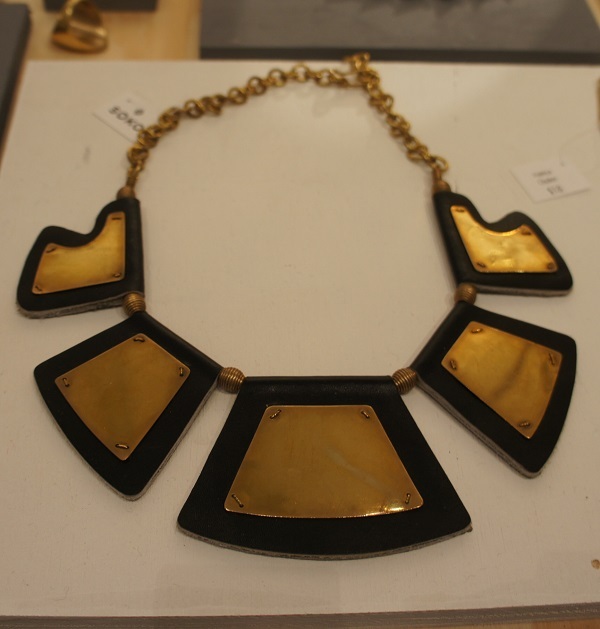 I admit it! 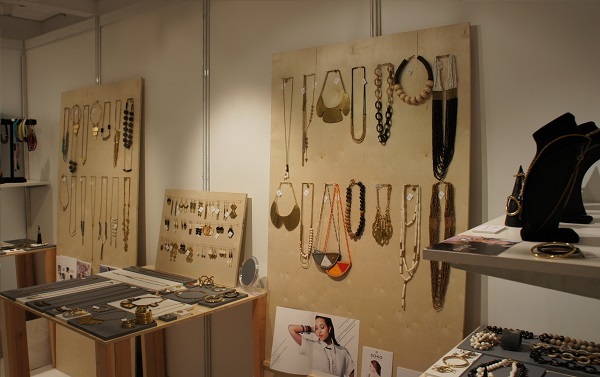 I am bracelet and bangle stacking junkie! 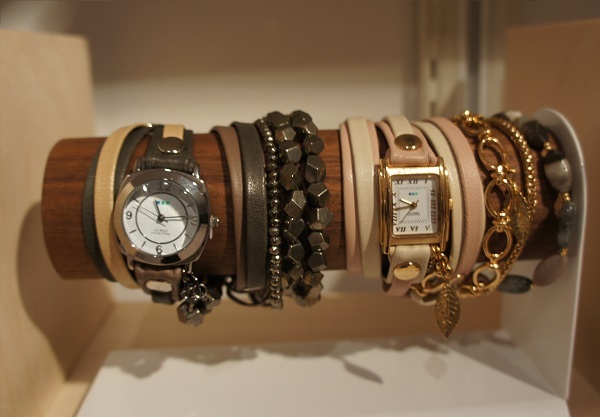 My morning stacking obsession for perfection often makes me late for work… My collection of wrist candy ranges from delightfully colorful enamel bangles to studded spikes and everything in between. 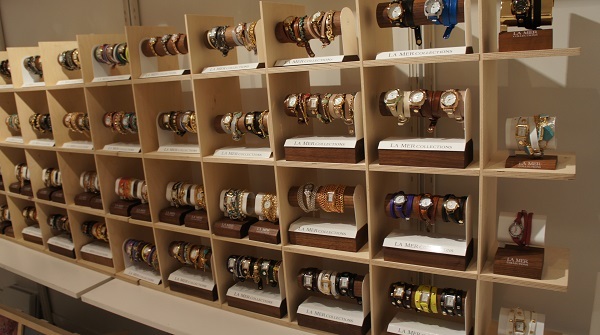 Although, my wrist collection is missing one thing, a fashionable watch. 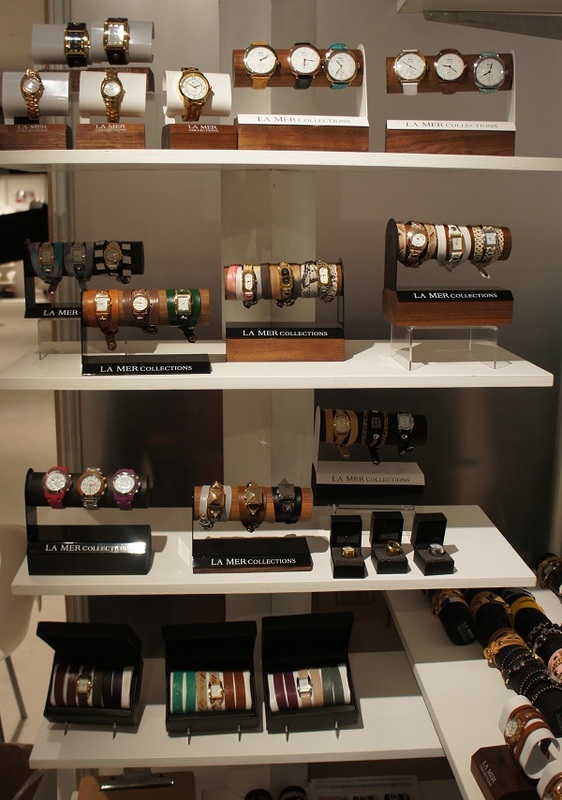 Until I discovered LA Mer Collections at the June LA Fashion Market SELECT Contemporary Show. 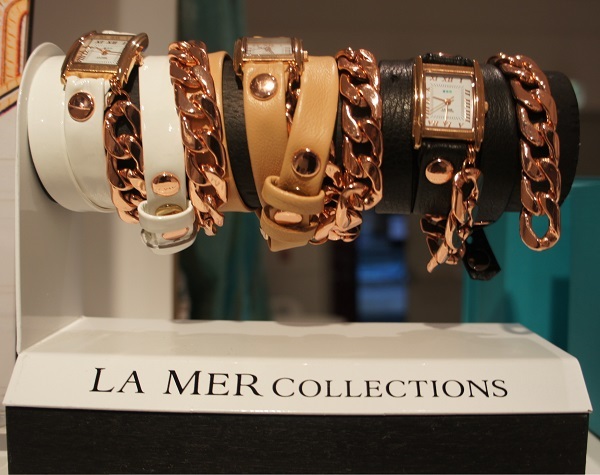 Pairing classic watch face designs with on trend strap styles and colors, La Mer Collections watches are the perfect addition to the most stylish wrist! 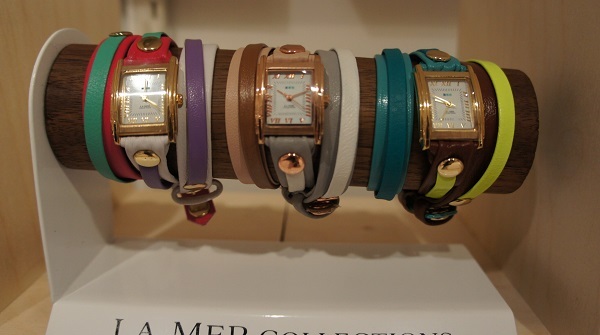 All straps are interchangeable, so once you fall in love with a face or two, you can update your straps with the seasons hottest colors and metals. 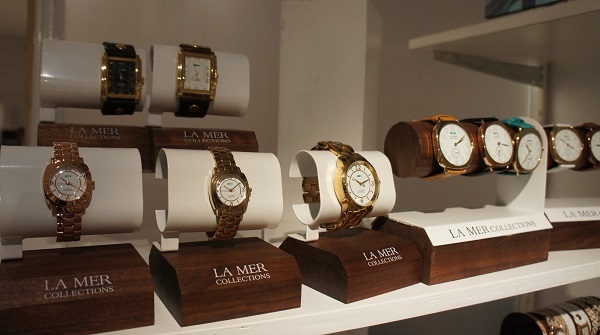 La Mer also offers a classic watch collection, a perfect gift for the hip moms and dads! 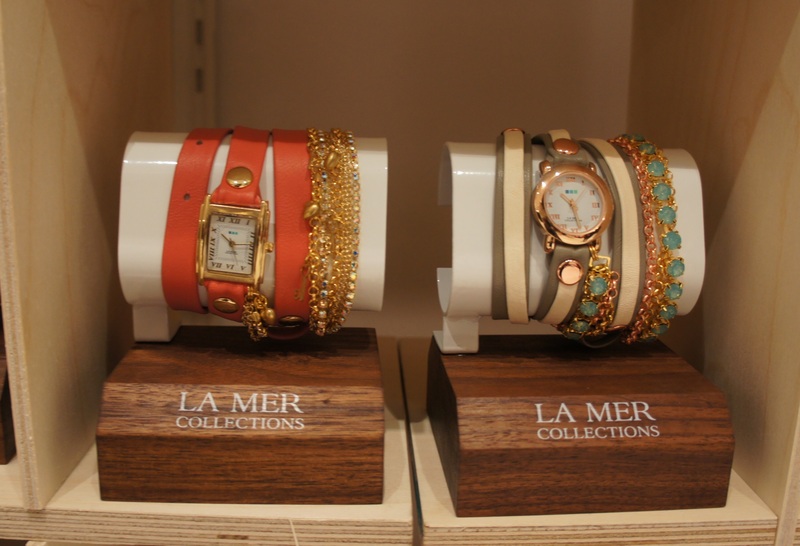 Adding a La Mer Collections watch and few fabulous straps are definitely on my list of items to score this summer! 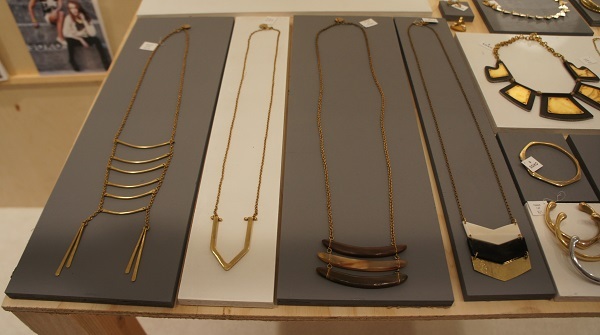 This entry was posted in Events and tagged Contemporary, LA Fashion Market, La Mer Collections, SELECT on June 13, 2014 by Hillary.